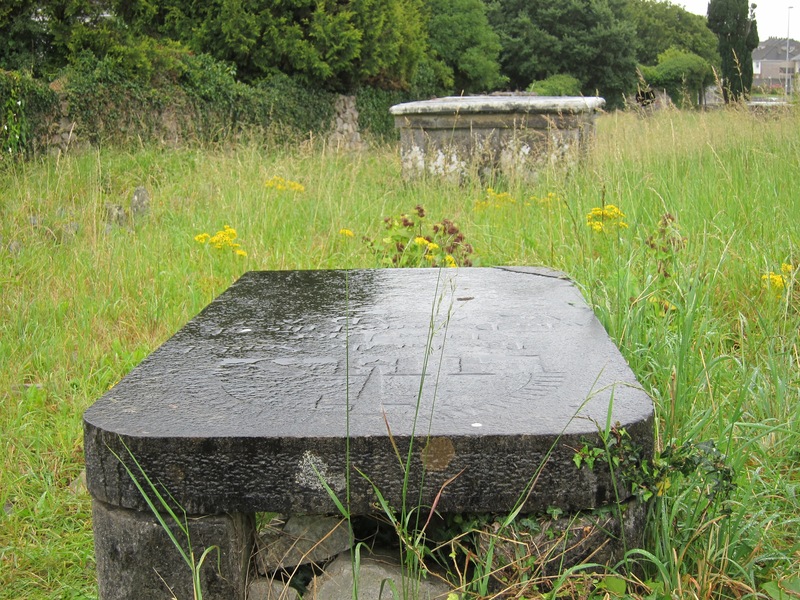 Old Rahoon Graveyard is located at the junction of Bishop O’Donnell Rd and Rahoon Rd in the townland of Rahoon. It is now encompassed within the western suburbs of Galway city. The site of the medieval parish church of Rahoon is located in the southern central part of the graveyard although only fragments of the foundations survive. It was built of granite with limestone window and door cases. There is some evidence of an early ecclesiastical enclosure on the site and the two curving sections of the graveyard wall to the north and south may be associated with this.